Introducing a new concept in showering from Ultra Finishing - The Pioneer thermostatic shower valve is injection moulded from a high grade engineering polymer. This Concealed Thermostatic Valve will compliment any modern bathroom suite, offers thermostatic showering via two easy-to-operate controls for temperature and flow. 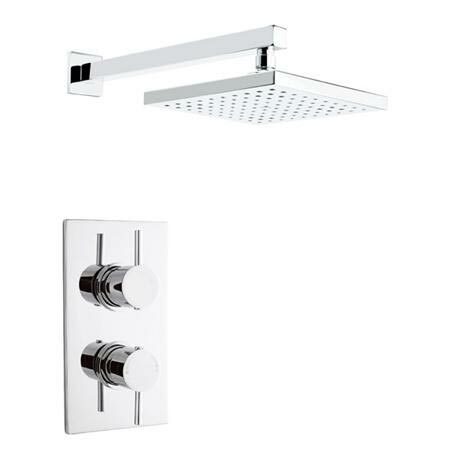 Supplied with a 200 x 200mm square fixed shower head with swivel joint and arm.